Got these two sets done last night. Autumn Hollows – In vivid autumn colors. The glass has striations in it to make them look more interesting. On two, I wound thin silver glass lines around the bead and left it raised. 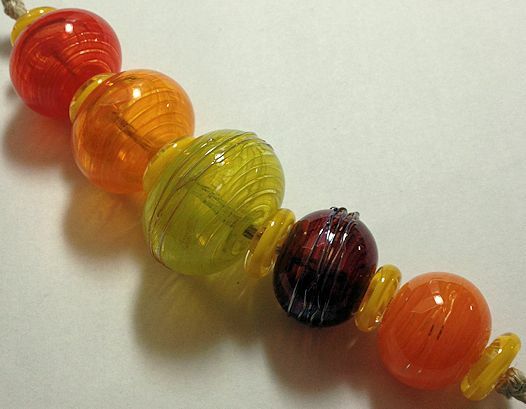 Another set of Space Age Retro beads. These are really fun.